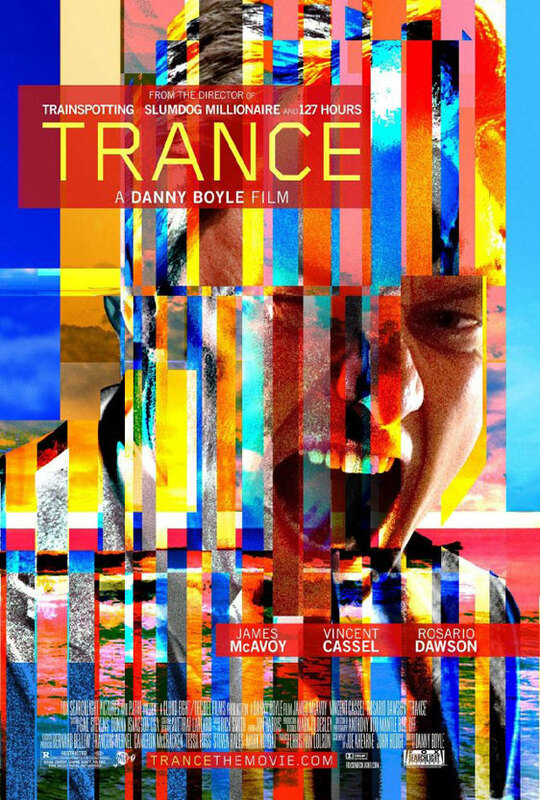 Two trailers (one red band) are below for Danny Boyle's 'Trance' starring James McAvoy, Vincent Cassel amd Rosario Dawson. Simon (James McAvoy), a fine art auctioneer, teams up with a criminal gang to steal a Goya painting worth millions of dollars, but after suffering a blow to the head during the heist he awakens to discover he has no memory of where he hid the painting. When physical threats and torture fail to produce answers, the gang's leader Frank (Vincent Cassel) hires hypnotherapist Elizabeth Lamb (Rosario Dawson) to delve into the darkest recesses of Simon's psyche. As Elizabeth begins to unravel Simon's broken subconscious, the lines between truth, suggestion, and deceit begin to blur.